But I especially love the literature. 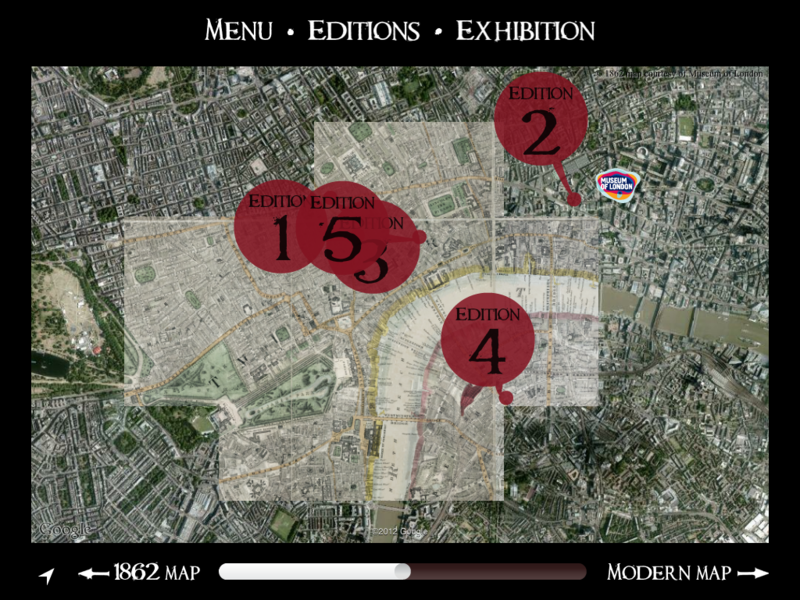 Which brings me to an app I discovered quite by accident from the Museum of London to compliment their exhibit on Dickens’s London ( I wish I was going to London right now so I could go see it). 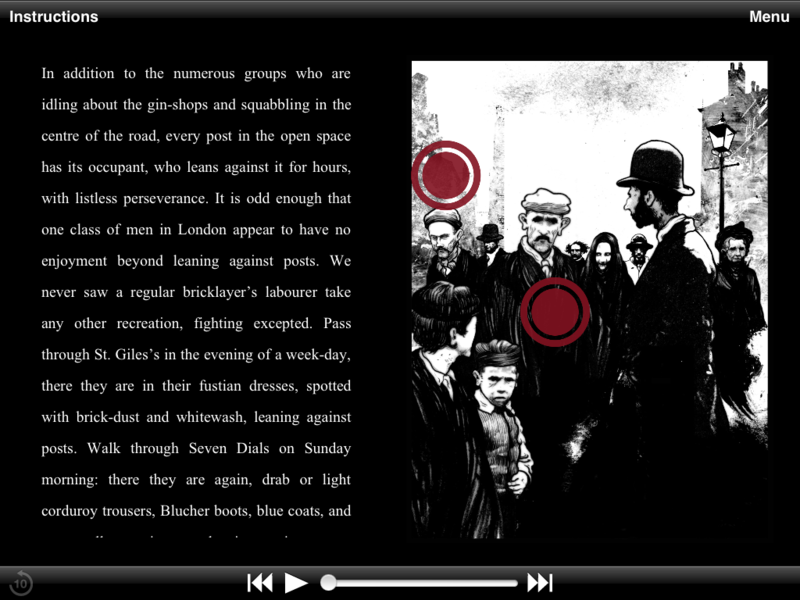 Entitled Dickens’ Dark London, it is an “interactive graphic novel” that takes you on a tour of London through Dickens’ eyes. Apparently the old auteur was prone to night time meanderings in his fair city and wrote about it in a series called Sketches by Boz. This Graphic novel is inspired by this series. 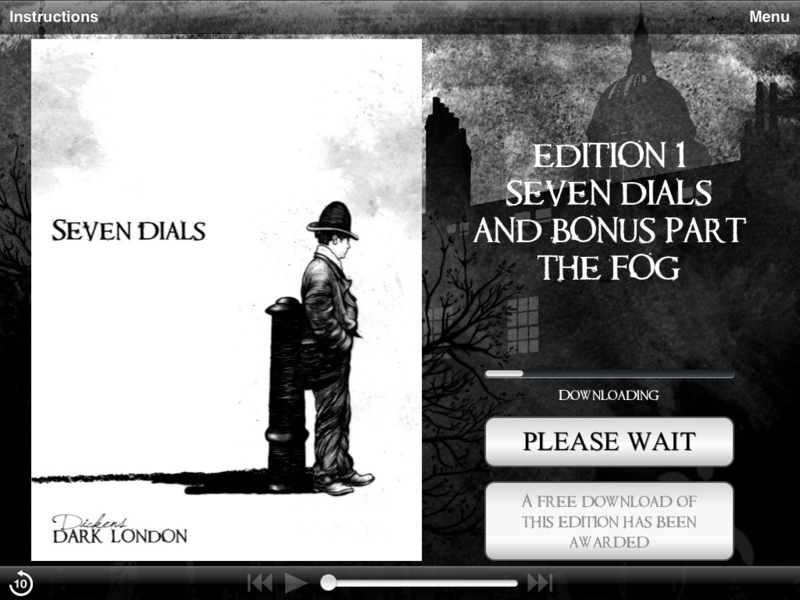 So far, only the edition on the Seven Dials is available, but soon Newgate Prison and Gin shop will be available for download. 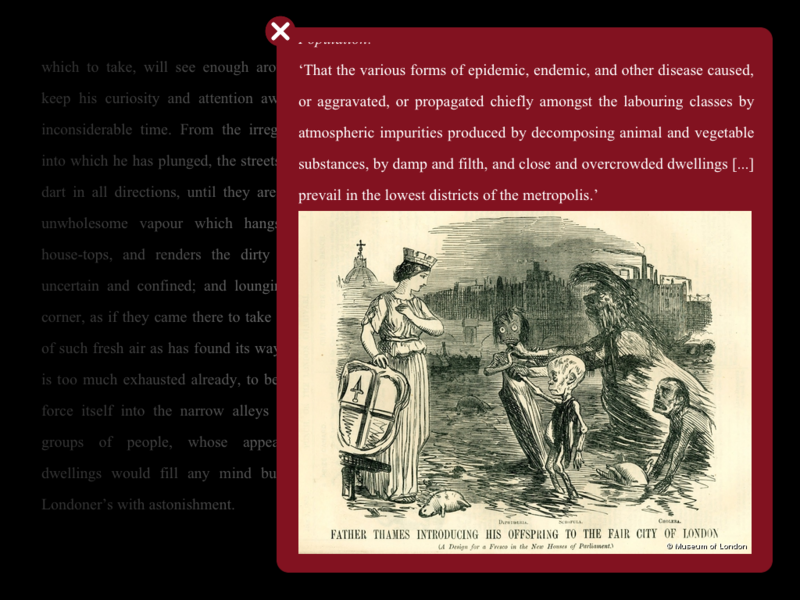 Dickens’ text is on the left side while the illustrations are on the right. The illsutrations feature red dots that if tapped, give you snippets of information from the conditions of the slums, to miasma. It aslo features an amazing map that shows where all of the graphic novel editions take place in London. If you slide the timeline bar, the map gradually transitions from 1862 to present day. Now, before you think I was just goofing off on my iPad, I came across this app while researching another documentary project for the Grade 7s Historical Novels Unit. 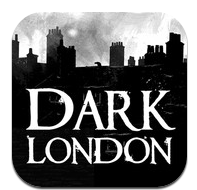 Although I can’t use it in our project, I think it would be invaluable in terms of giving students an idea of the seedy side of Victorian London. #1 for throwing punches right out of the gate: Apple’s Mind Bogglingly Greedy and Evil License Agreement by Ed Bott via ZDNet. The man has a point. I’m just sayin’. If I am permitted to go all Cassandra on you this Friday morn, I would prophecy that Apple’s downfall will be their proprietary attitude and their unwillingness to play with others (compatibility issues, etc). And this is coming from a die hard Apple person. The only difference is that I believe that draconian license agreements such as this one is about as effective as teasing an eight foot drunken giant by stepping on its toes. You do that, you gonna get swatted like a fly, yo. Read for the brief explanation of the way they etextbooks will be priced and distributed. She also brings up other issues such as broadband scarcity. 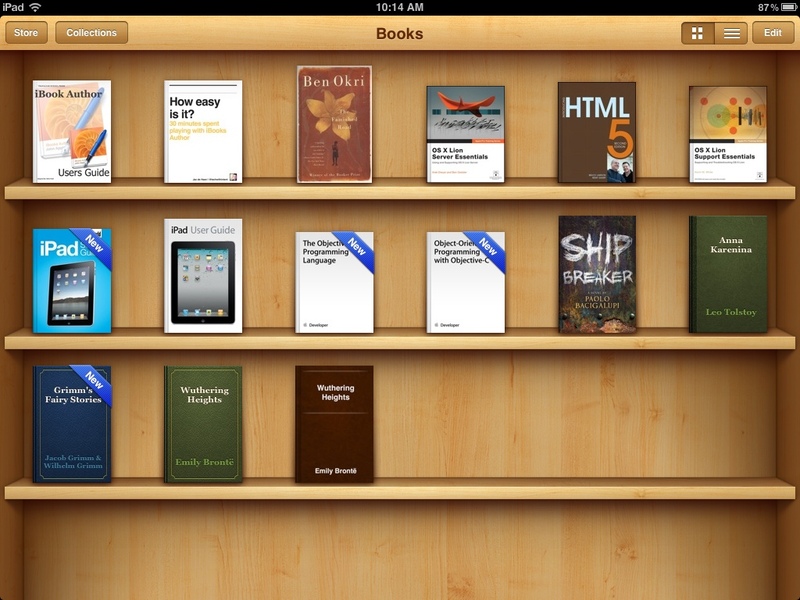 When are we going to get some concrete news about a sensible distribution system for etextbooks via the iPad? NFB has done it again. 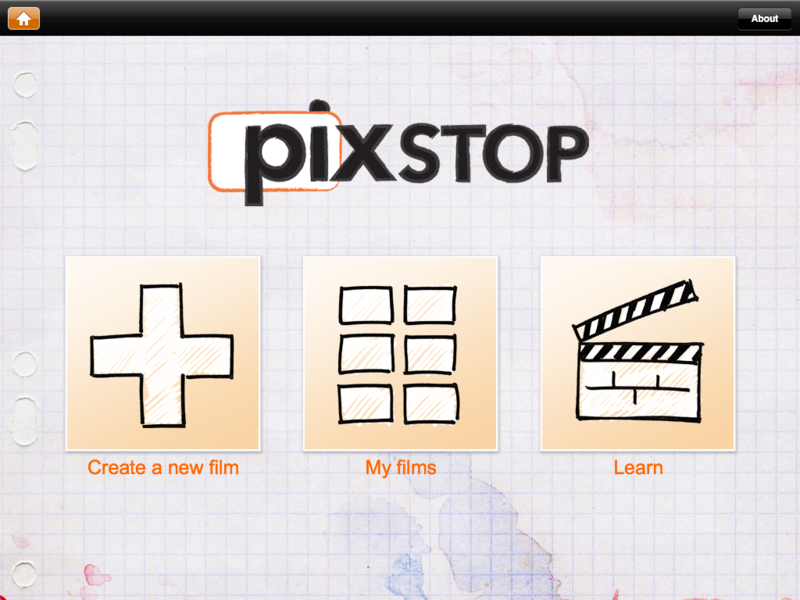 Their new offering is an easy-to-use stop animation app that the most creatively challenged of us can figure out. I know because I tried it out yesterday right before going home, a time of day where my brain is usually not at its most brilliant. I hate afternoons. I am pro siesta. 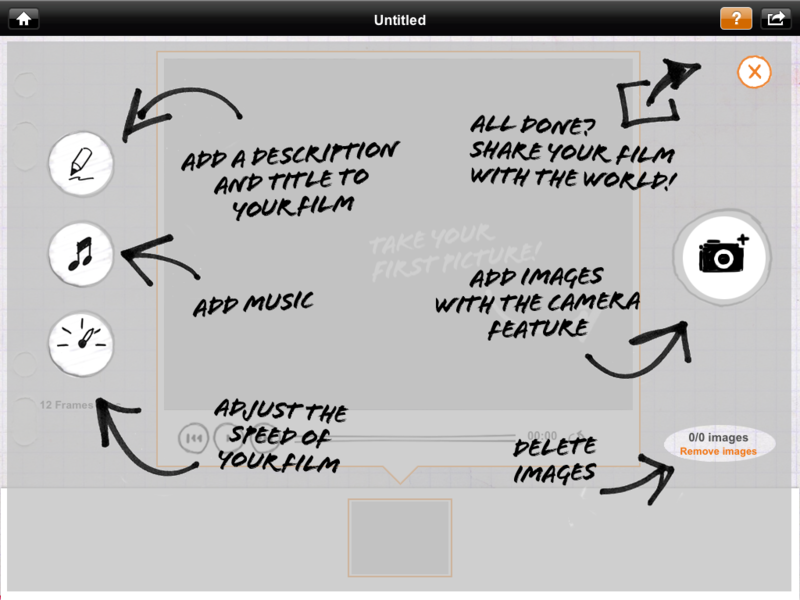 Tap on create a new film. 2. Take your photos, and even add music from your itunes library! Then adjust the speed. And here it is at 2 frames per second! My only beef is that you can’t upload photos from your camera roll or the web- you have to take the photos you use in the app itself. 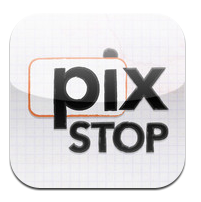 But still- I can see this app having many uses in the classroom-let me know if you use it! iPad Lab Help Students Get Perspective in Art Class! The iPad lab has been borrowed more than your neighbour’s new lawn mower this week and one of the ways it has been used is so simple and practical it needs to be showcased in this blog (I know. What prestige!). 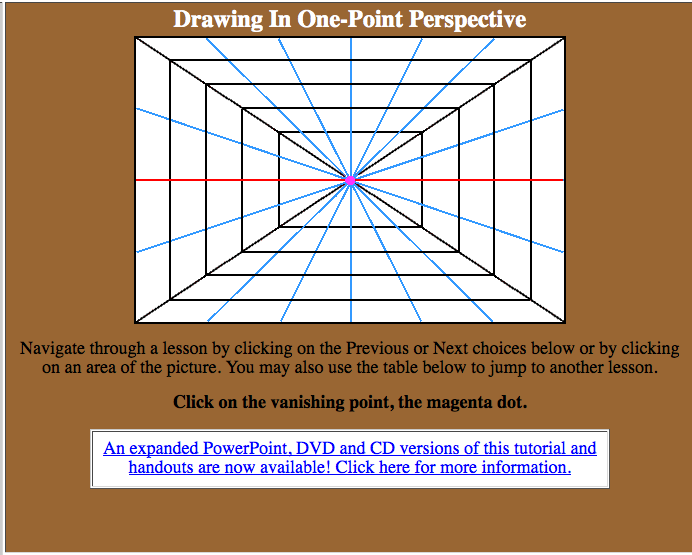 Instead of having to spend half the class in the library studying this site about perspective drawing, then traipsing back to the art room to execute the techniques they’ve just witnessed, the artful Art teacher told me she has been using the iPad lab. This way, the students can practice the technique with a ready reference at their side. Artful Art teacher told me it has saved her loads of time, as well as the students time, who had previously to go back to the library and look up the site, try to have the information sink in , then return to the art room to try and and execute the technique. It just goes to show you, that it isn’t always about the fancy apps-sometimes just having easy, portable access to the internet can make a lesson so much easier. Way to go artful Art teacher! 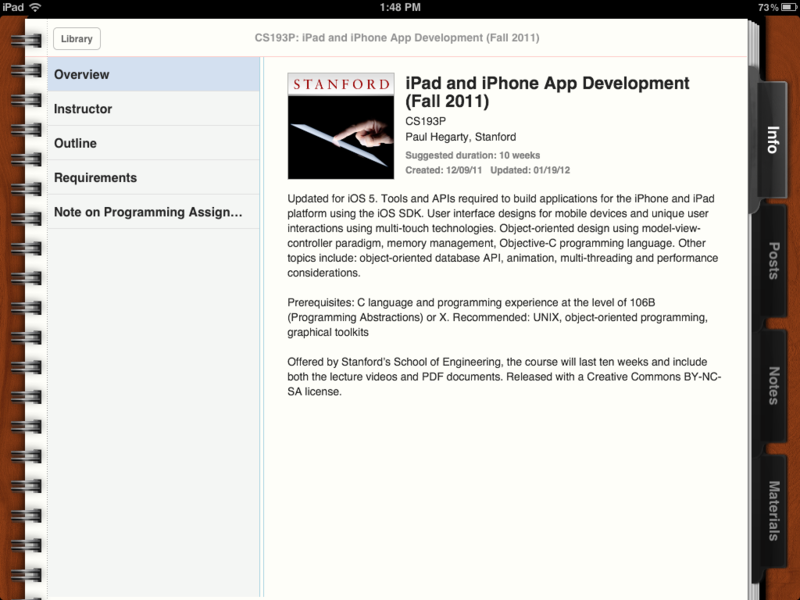 Click AllthingsD to follow announcement- looks like ibooks2 is the big news as well as the interactive textbooks. After a quick glance, I am interested in the pricing and wondering if this is just in the States or whether or not there is a Canadian contingent in on this Cornucopia of Awesome. 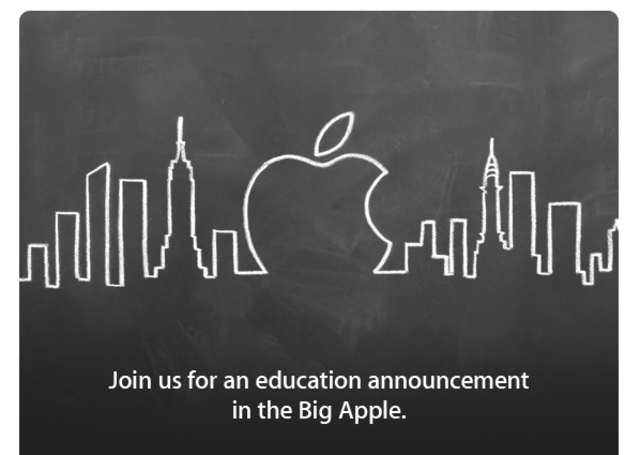 So while video is rolling, let’s review: By far the most important announcement today is that Apple has partnered with three of the big textbook publishers. Don’t have details on that, but the fact that this isn’t a flat-out end-run around the textbook industry is crucial. Obvious parallel here is iTunes music launch in 2003, when Apple worked with the big labels instead. 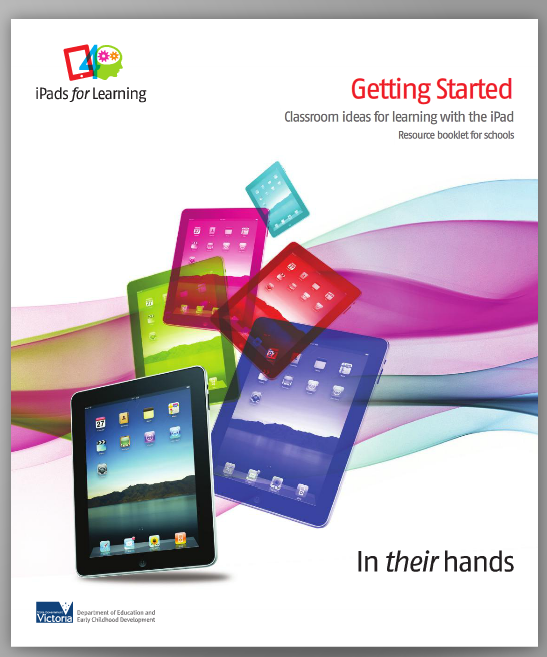 If you haven’t had the chance to explore your iPad yet and feel a little overwhelmed,and not sure how to use it in the classroom, there is a nice, little etextbook from the Department of Education and Early Childhood development, State government of Victoria, Australia called Getting Started: Classroom Ideas for the iPad. It gives a preliminary guide to the iPad as well as general ways to use the iPad in your class. Although it is geared toward the younger grades, the ideas are general enough to be useful for any grade. In fact, I have mentioned many of them already!